Japan's month long rainy season, known as Tsuyu in Japan, has begun. It is the period from spring to summer, when the country experiences a continuous spell of rainy weather. All areas except the northernmost island of Hokkaido have a hot and very humid rainy days. It is surely one of the unpleasant aspects of the Japanese climate. However, you can savor the special beauty of Hydrangea, or Ajisai in Japanese during this season. They bloom from June to July in different regions in Japan and light up its gloomy rainy season. The Cherry Blossom festival is well known, even outside Japan, but few are aware of the Hydrangea Festival of Flowers, a festival which signifies the arrival of summer. 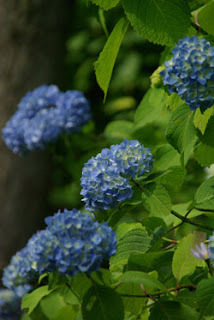 Kyoto has many of the most famous temples for hydrangeas and the gorgeous blooms attract many visitors during June. Below are the recommended spots in Kyoto. 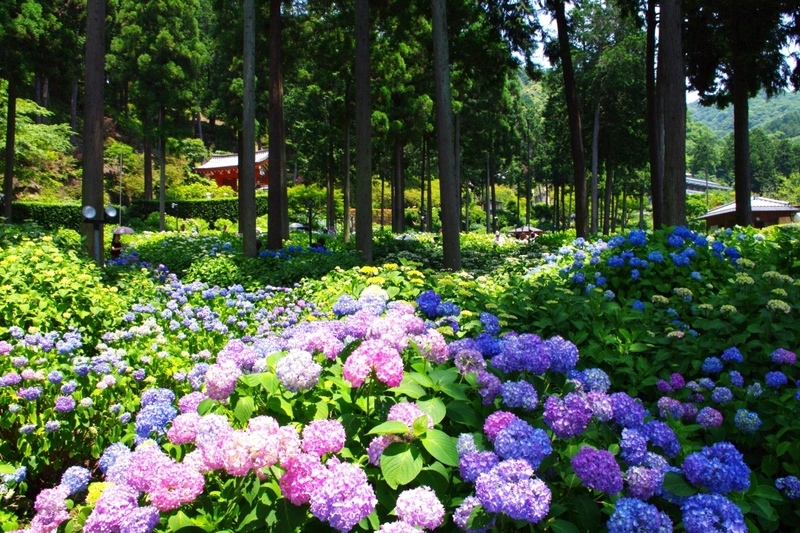 You can enjoy about 10.000 hydrangea in this temple, known as "Temple of Flower". 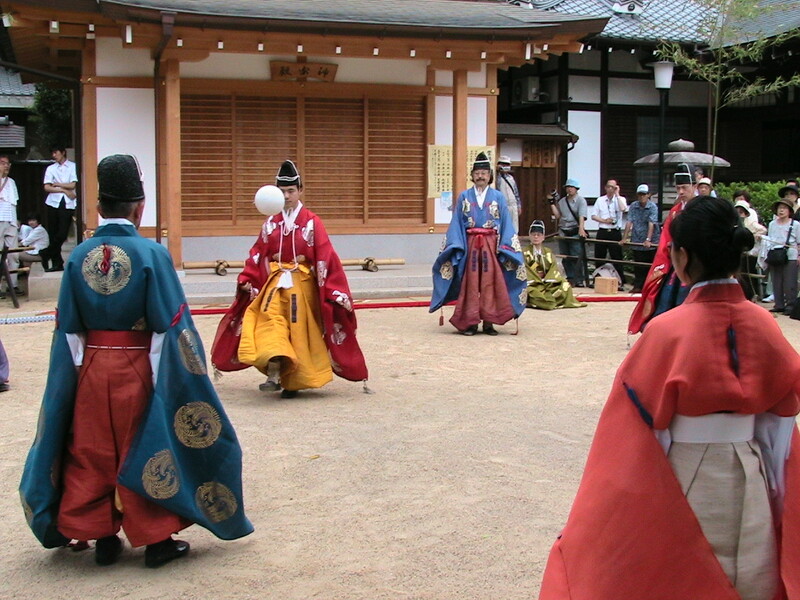 It is located in Uji area of which the scene from the Tale of Genji is set. Only on the weekends from June 9th to June 24th, they light up thousands of Ajisai flowers at night. fascinating. Ajisai at night have their own unique and fascinating attractiveness. This temple is located part way up the forested mountains in the east of Ohara, where is a rural town nestled in the mountains of northern Kyoto. Why don't you experience the beauty of Hydrangea in the graceful, elegant, peaceful, relaxing, and refreshing temple? 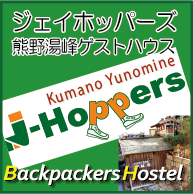 *Access: One hour by Kyoto Bus No. 17 from Kyoto Station to Ohara Bus Stop, then 10 minutes on foot. Located in Fushimi area, Fujinomori Shrine was built before the relocation of the capital to Kyoto in 794. Although the shrine stands in a busy residential district, Fukakusa, the grounds are extensive. 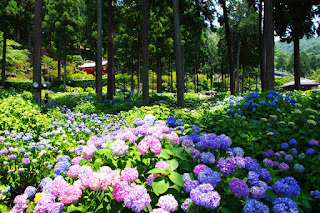 They have two hydrangea gardens, one to the left of the approach to the shrine, the other at the back. 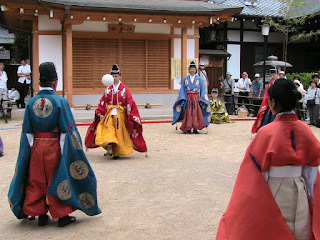 On the 17th, You can see some Japanese traditional performances such as Gagaku (traditional music) and Kemari(a traditional ball game) in this shrine.